Product Presentation - This is a 22 page PDF version of our PowerPoint presentation. High-level Overview - Company history, services, who-we-help and costs. This is a single page PDF that provides a good summary of what we do and how we help financial institutions. For Marketing Managers - This brochure provides a marketing benefits narrative. How our service provides excellent content marketing. Product Benefits Brochure - This 4-page PDF brochure highlights how our service helps to reduce fraud. This demonstrates how we assist fraud investigators, compliance and risk in reducing consumer fraud, account takeover, new account fraud, etc. Process & Procedures - This PDF provides information on how we manage content, protect data, and other compliance and risk related operational practices. Early on, eFraud Prevention™ recognized that its services could also help communities working on the problems of fraud and identity theft, from senior citizen scams to phishing to ATM skimming. Since most people can't afford our products and services, we created the Community Awareness Initiative to offer them at no cost. We accomplish this by distributing our services through financial and higher education institutions. Importantly, eFraud Prevention™ doesn't differentiate between paying and non-paying customers, allowing local government, law enforcement, public schools and non-profit organizations access to the same services offered to our paying clients. As such, we are part of the new generation of social entrepreneurs. 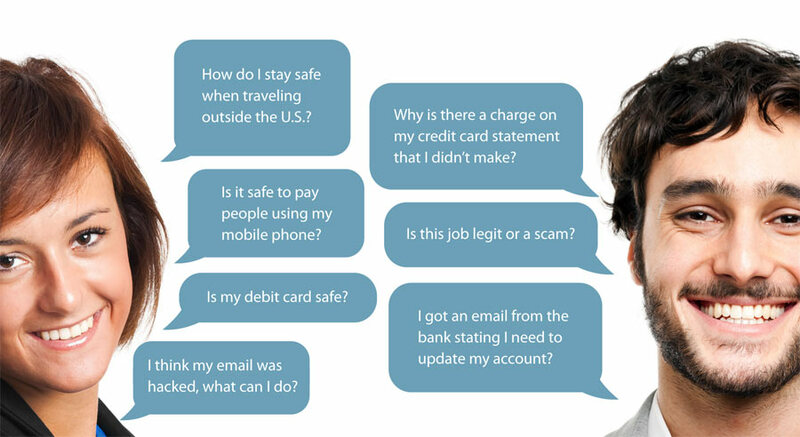 Your customers and members have questions about ID theft, data breaches, scams and hacking. We offer an easy way for you to give them the best answers so they feel safe and stay safe. "90 percent of the American public said they want to learn more about keeping safer on the Internet. With just a couple lines of code we improve consumer engagement and create security minded people so that there is less financial crime to investigate. Our service can be implemented as a complete all-inclusive portal as stand-alone individual components.